On Saturday, May 20th Cádiz c.f hosted their Andalucian rivals Córdoba c.f at the Estadio Ramon de Carranza. Both teams play in the second division of Spanish soccer, meaning that if they finish high enough in the table, they have a chance at playing soccer in one of the world’s best leagues, the Spanish Primera Division. I arrived to the stadium about an hour before kick off and the most of the supporters had already arrived, singing and chanting for their beloved Cádiz. I pushed through the crowds to the ticket booth and purchased a ticket for €30 (there are two ticket options, one in the upper deck for €25 or one in the lower deck for €30). To my surprise my €30 ticket was in the front row and center field, something unheard of in most American sports. I stopped by a vendor and bought a Cádiz c.f scarf for €5 before journeying into the stadium. The atmosphere inside the stadium was something that many American soccer fans have only seen on television. The stands were shaking with the cheers of fans as the players came onto the field and did not stop shaking until the final whistle. It was amazing seeing the amount of pasion that the people of Cádiz had for their team. After a scoreless first half, Cádiz opened the scoring with a free kick just outside the Córdoba penalty area. The stadium exploded into cheers and I too joined in on the celebration. Córdoba leveled the score in the 74th minute and the game ended in a draw. Despite their failure to get the win, the Cádiz supporters left the stadium hopeful for future wins. The stage where the performance took place. 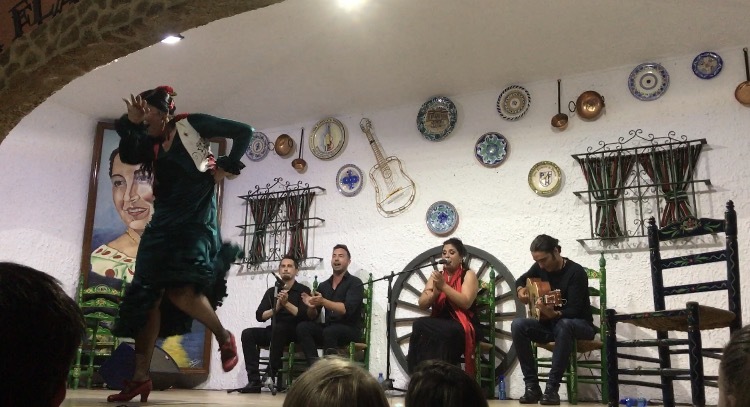 This past Friday a group of us went to a Flamenca show! When we walked in, it was completely not what I expected at first. I was expecting your typical theater, with a bunch of seats and a big stage in front. 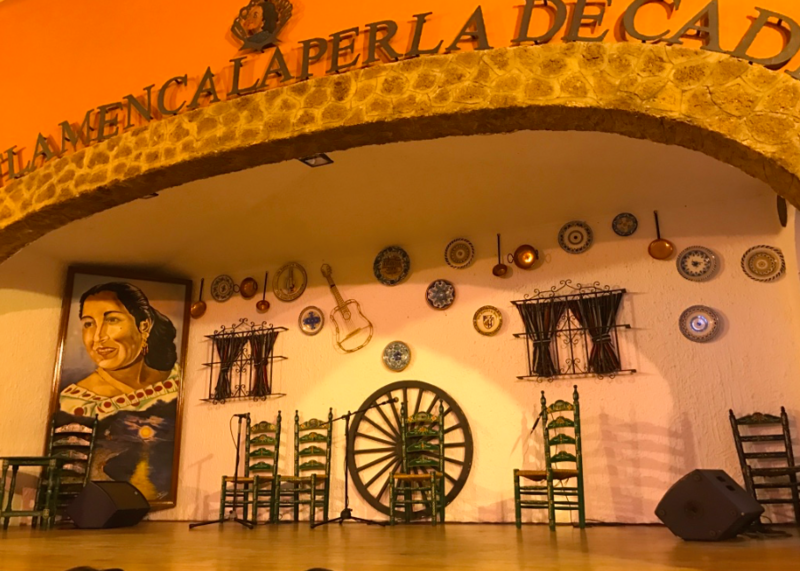 Here at the Peña Flamenca La Perla in Cádiz, there were a bunch of tables, where you could get dinner and drinks, with friends and family, with a smaller stage up front. Walking in, I felt a sense of community right away. Once the show started, it was again not at all what I expected. (I guess I really didn’t know what to expect at all). There were 5 performers; a lead singer, a guitarist, two back up singers, and a dancer. I thought that Flamenca was a happy dance, with a lot of cheering each other on and smiling. But it was actually kind of the opposite. The lead singer looked very distraught while singing, to a point where she almost had tears down her face. The dancer was very serious as well, she never smiled and all of her movements were very strong and abrupt. I really enjoyed the show! I could tell how passionate all the performers were and how much of a tradition this type of dancing was for everyone in the audience. 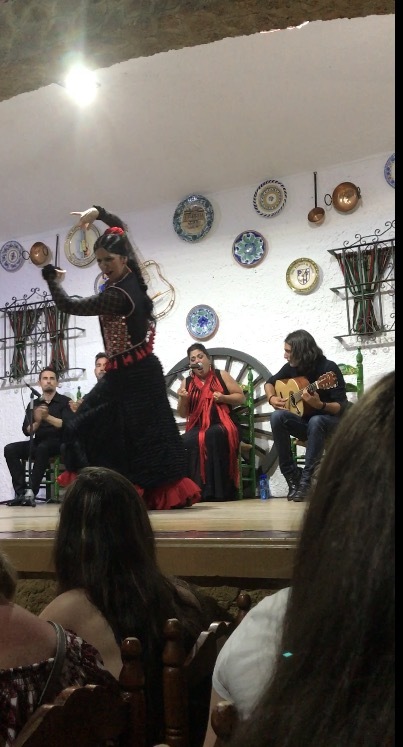 I am really happy I got to experience Flamenca dancing while I was in Spain. This was the dancers first outfit. This is the dancers second outfit, after a 10 minute intermission. 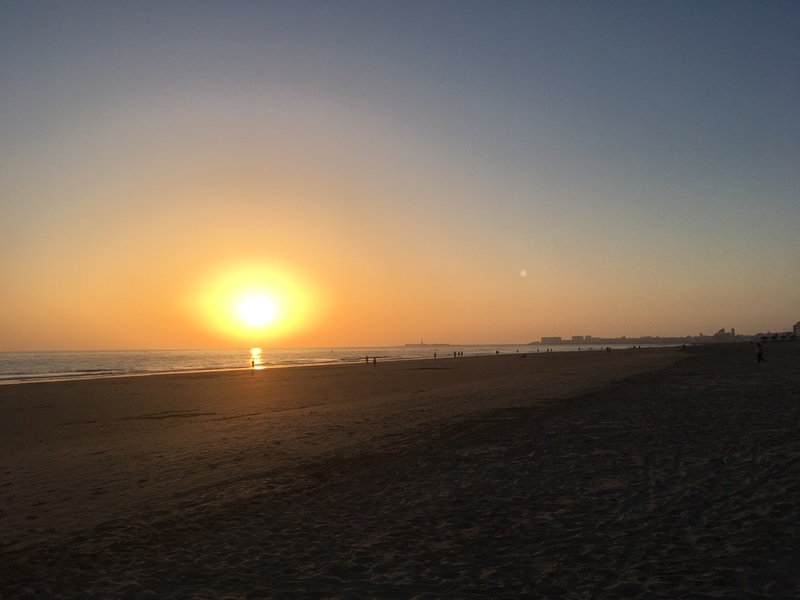 One of the best things about Cádiz is its proximity to the ocean. The smooth sand and perfect blue waves and sky of the beaches make the trip feel more like vacation than study abroad. 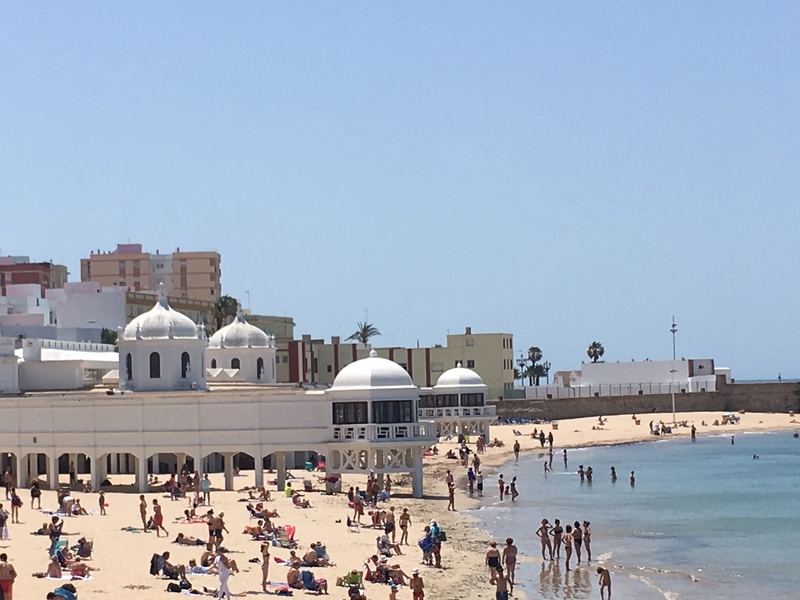 La Caleta is the beach closest to the University de Cádiz and Parque Genovés. This beach is famous for being a filming site for the James Bond movie Die Another Day. 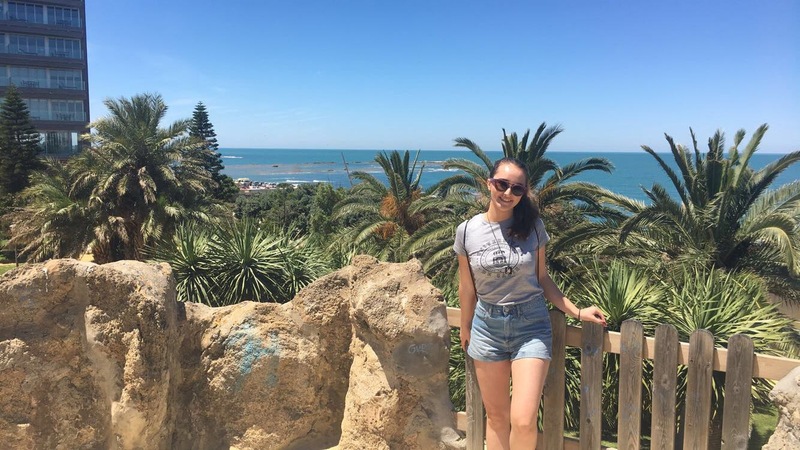 La Caleta is also right next to two castillas and is, in my opinion, the most picturesque place to watch the sunset from. 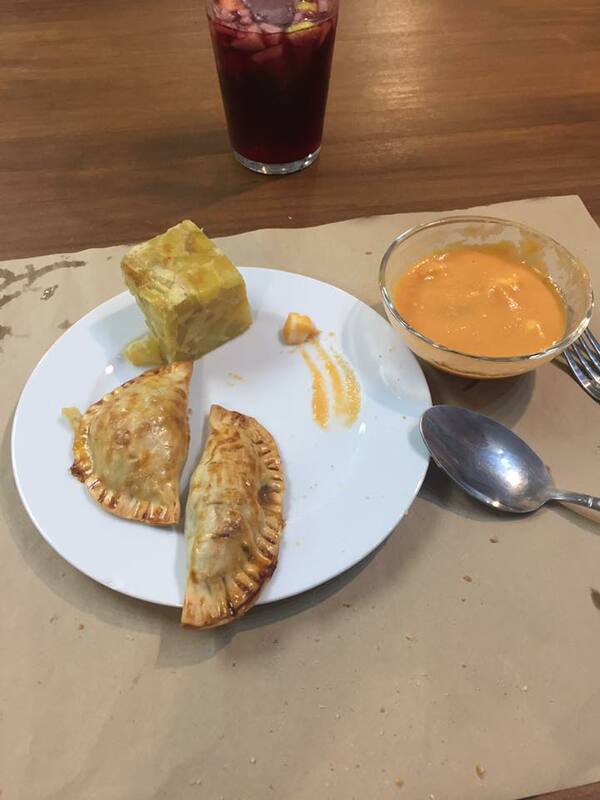 There are many cafes and restaurants located nearby. 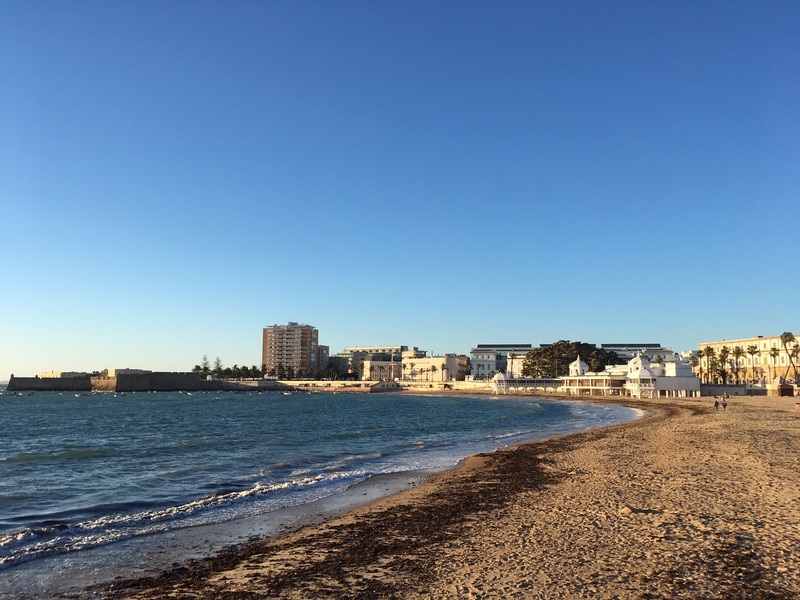 Because of its convenient location right inside the old town, it is usually the most crowded beach.Other drawbacks of La Caleta are that it is the smallest and has lots of seaweed on the sand. La Playa Del Caleta on a sunny afternoon. The beach in the evening. Halle Berry and Pierce Brosnan in Die Another Day. Santa Maria is my host mom’s favorite beach. 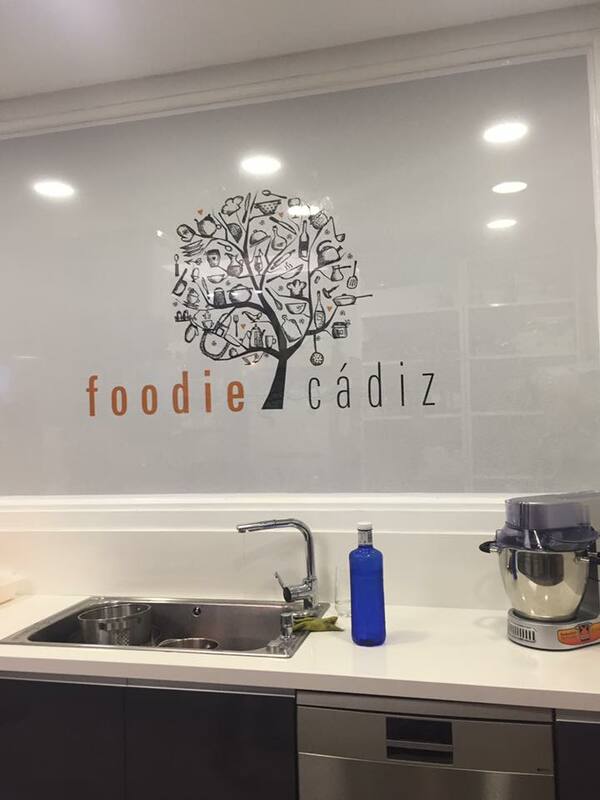 It is located right outside the walls of the old town part of Cádiz, a few minutes away from Plaza de San Juan. 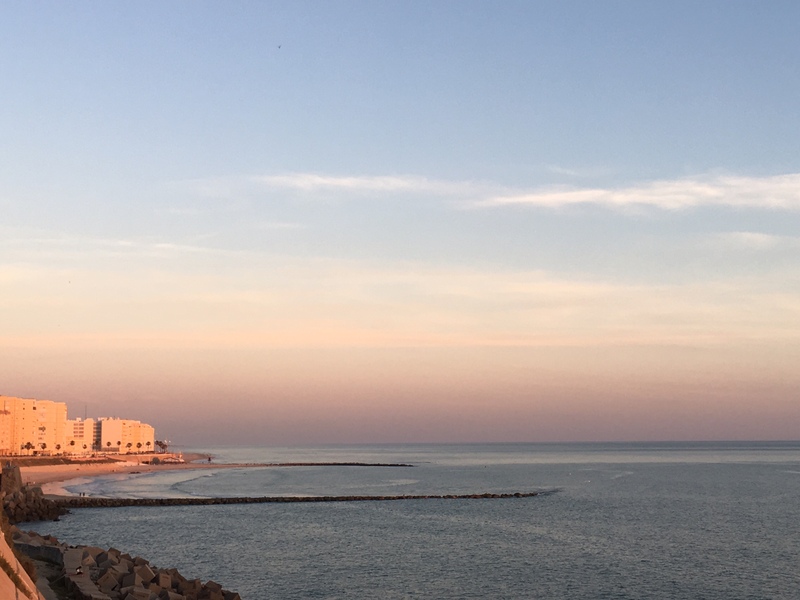 The beach is enclosed on all sides by a tall wall and two rocky jetties reaching out into the Mediterranean Sea on the right and left. It looks very picturesque but causes the beach to be overly windy sometimes. 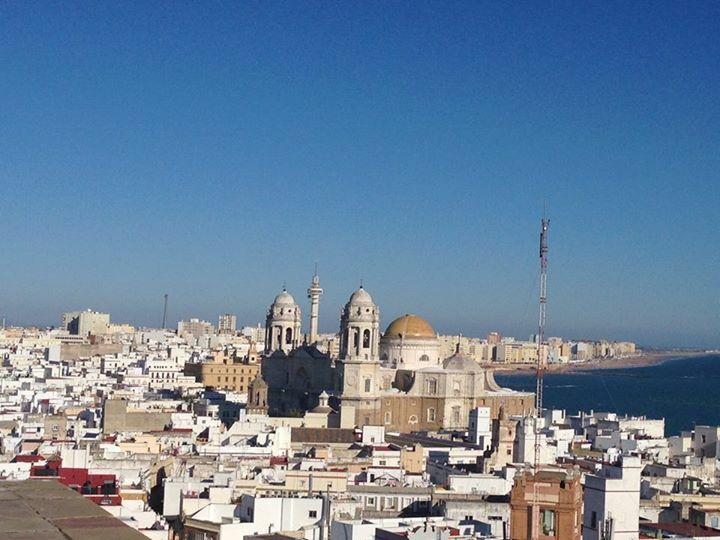 There are restaurants on each side and a view of most of the Cádiz skyline. Pictures cannot even come close to conveying how gorgeous this beach is! View of Santa Maria Beach from the ramparts. 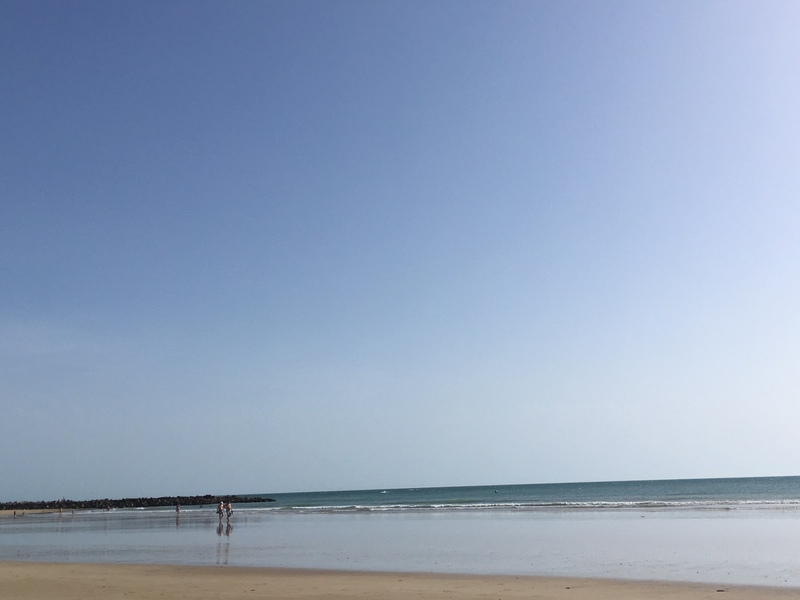 The water at Playa Santa María is an acceptable temperature for swimming. Unless walking almost three miles in a bathing suit is on your to do list, Playa Victoria is only accessible by car or bus. Both the 1 and 7 bus lines go straight to the beach and cost 1.10 euros each way. The beach stretches all the way down the cost for miles parallel to Av de Cayetano del Toro, a road lined with shops and restaurants. There are also many restaurants on the beach and comfy beach chairs available to rent. This beach had the most runners, joggers, and walkers. Allegedly the coast of Morocco is visible from the shore but we did not see anything on the horizon besides boats. Although Victoria is not surrounded by nice, old, architecture like the other beaches, its size makes it well worth the trip. 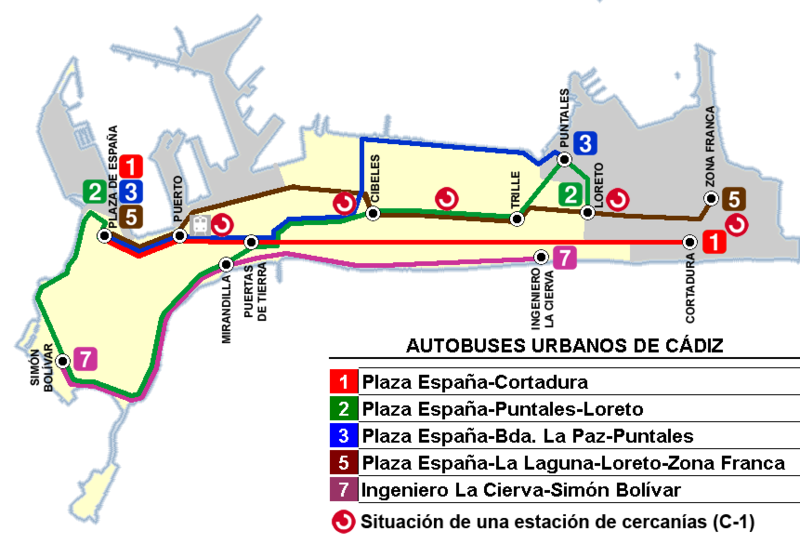 The Cádiz bus map. We took line 1 and got off around where line 7 ends at Ingeniero La Cierva. Victoria is by far the largest of the three beaches. 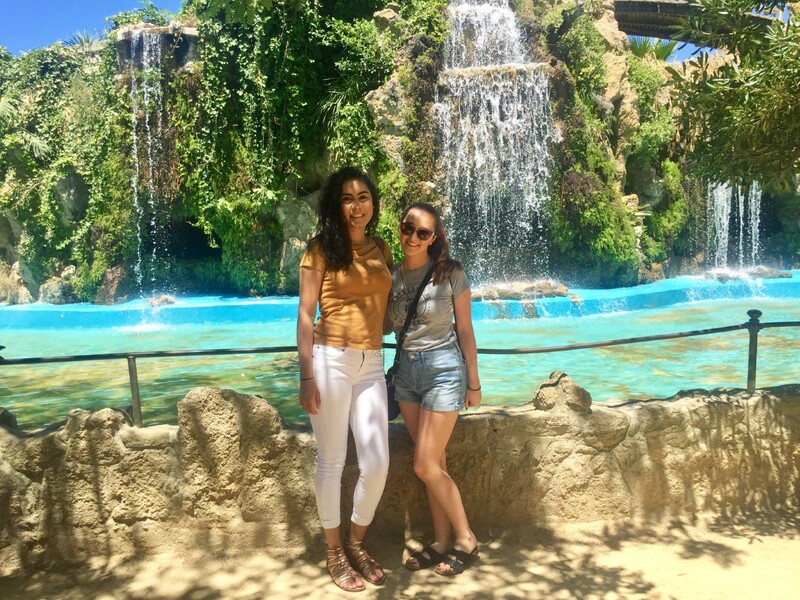 One afternoon, my roommate and I explored the park next to the Hotel Playa Victoria Palafox. 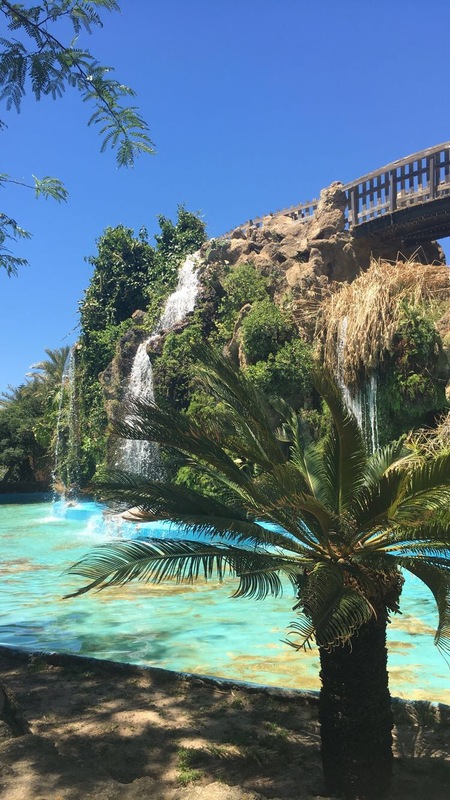 It has a botanical garden, waterfall with a bridge overlooking the ocean, cave, play area, and restaurant. It is a very relaxing and beautiful place to walk after class at the university. I look forward to going back before the trip is over! The beautiful duck pond in the park. Top of the waterfall overlooking the ocean. 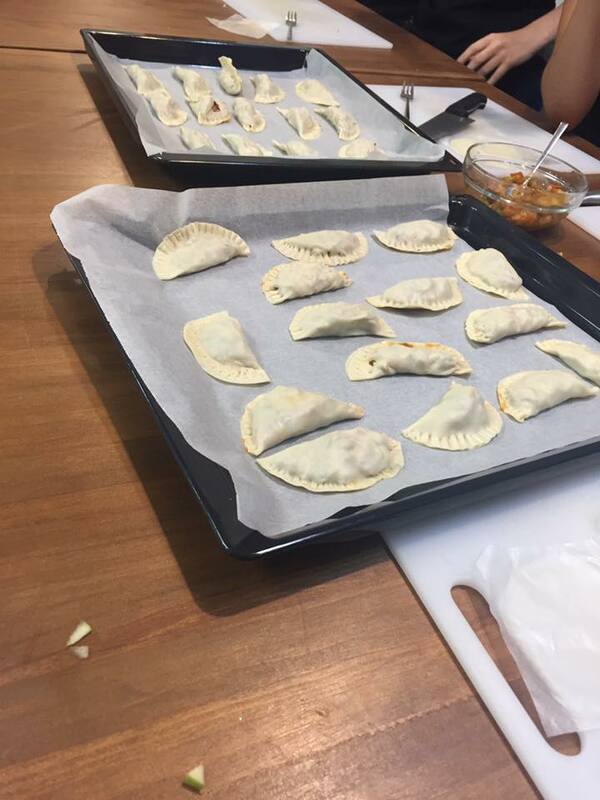 Our empanadas ready for the oven! Today is the day that we leave USA for Cadiz Spain. 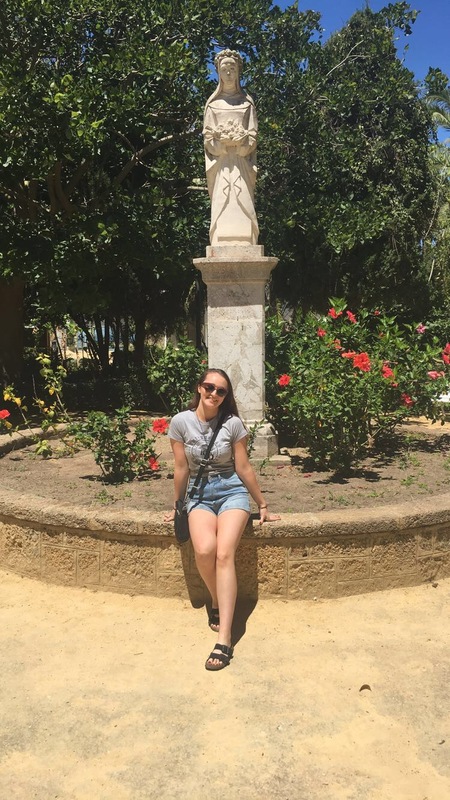 We are about to embark on a wonderful cultural and academic experience that will enrich our understanding of the Spanish language and health care system, but also to strengthen the connections between University of Massachusetts Lowell and the University of Cadiz. 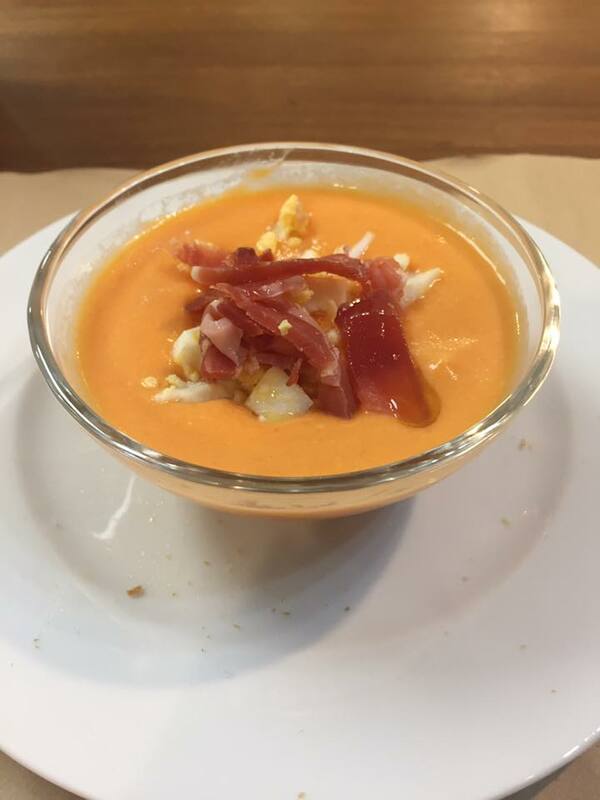 We will be in Spain for 14 days and will be taking a medical Spanish course taught by faculty from University of Cadiz. 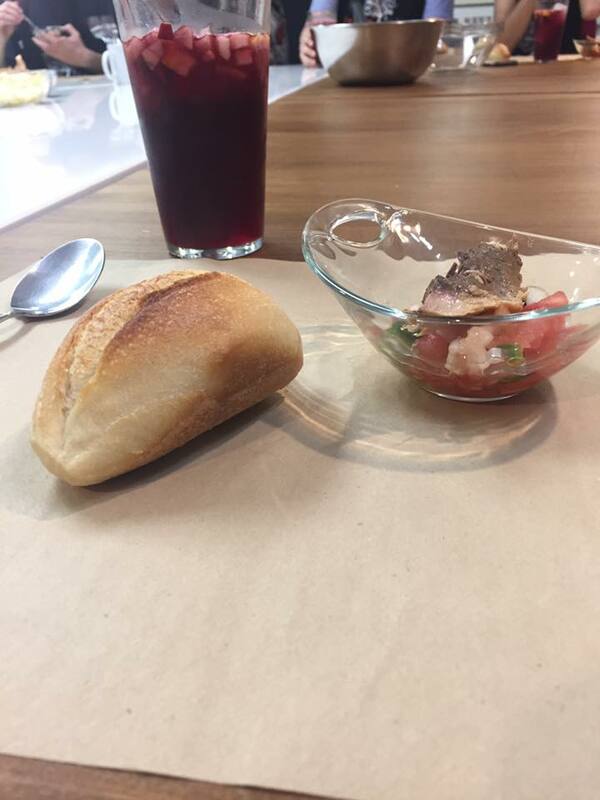 In addition to the language course component we will be visiting hospitals, nursing homes, pharmacies, herbal stores, and food markets to help us understand the similarities and differences in the US and Spanish health care systems. I am very much looking forward to traveling with the nursing students and sharing these activities. This is my 6th trip for the Solomont School of Nursing ( Ghana x 3, Chile and China). 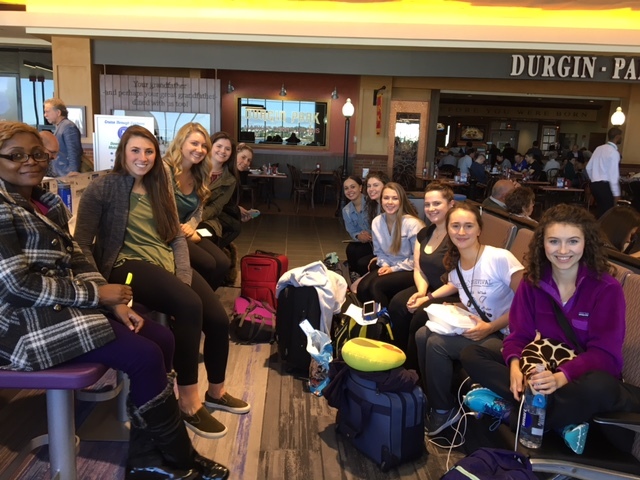 Each trip has enriched mine, as well as the students’ understanding of global health care. Please check back often to hear some of our stories and see our photos. For now… time to pack .. the plane leaves 5:30 on Friday May 12th. 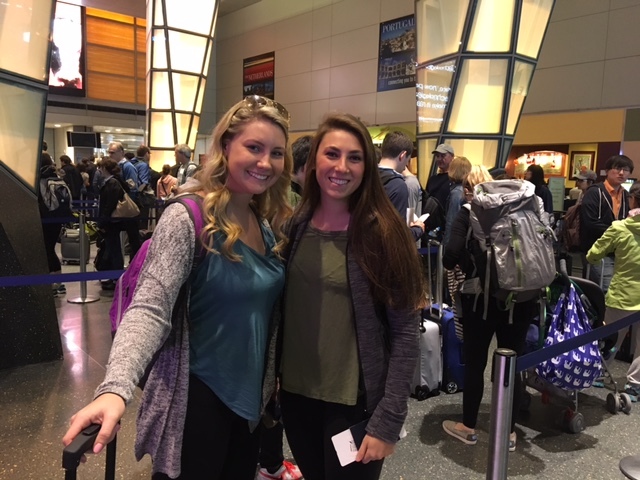 UMass Lowell students at Logan airport in Boston on the way to Spain. Logan airport in Boston on the way to Spain. Alex and Colleen waiting in security line. 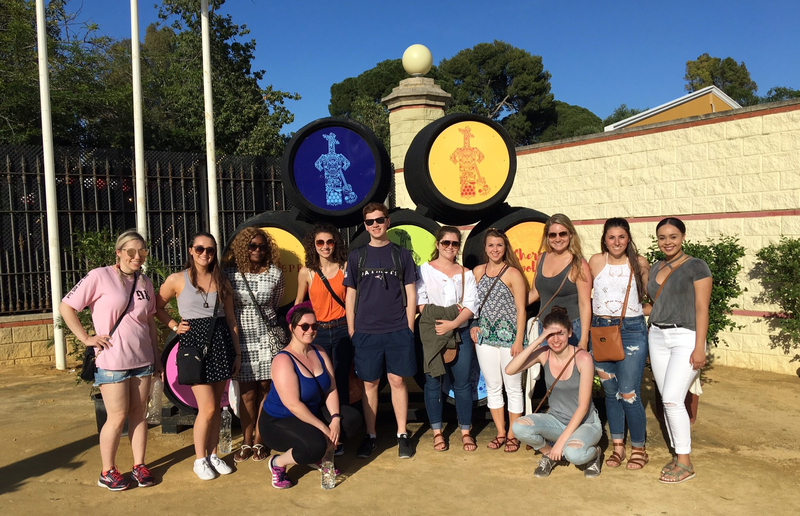 Follow along with the Solomont School of Nursing Clinical Assistant Professor, Valerie King, and her students as they immerse in the local language and culture in Cadiz, Spain. 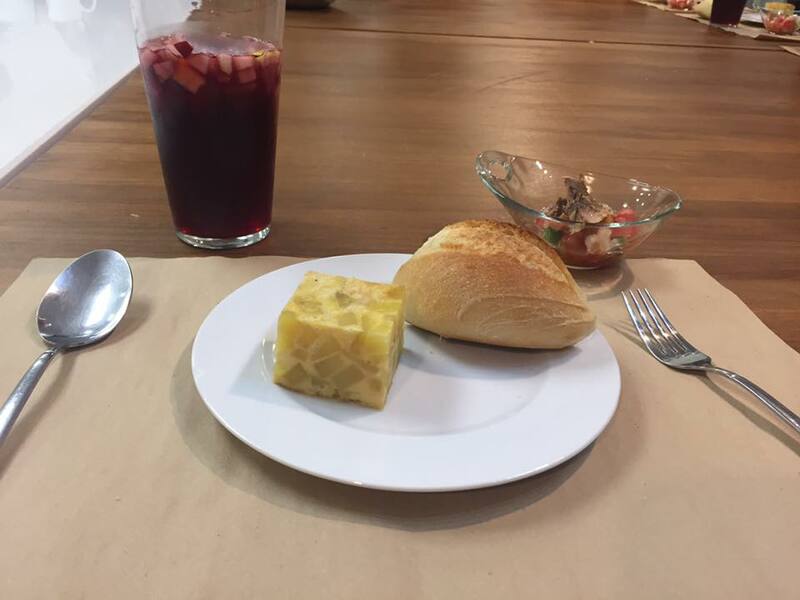 Through dedicated classroom learning for the healthcare professional, cultural activities and site visits to local hospitals, pharmacies, geriatric centers, food markets and other community entities related to health and nursing, students will increase their understanding of medical Spanish significantly.